These are some commonly used terms and phrases by attorneys, judges, law enforcement officers and others in the judicial process, but in plain English. I truly hope you get a better understanding of what goes on in our court system. If there is anything that you don't see on here, let me know, and I'll be sure to give you an answer to the best of my ability, and add it to the list. (AG) The Attorney General prosecutes and defends, on the part of the State, all cases in the appellate courts of the State, in the Supreme Court of the United States or the lower Federal Courts, filed by or filed against the State, or in which the State may be interested. The Attorney General must be a Citizen of Maryland, and licensed to practice law for the 10 years prior to the general election, and holds office for 4 years. The Attorney General hires Assistant Attorney Generals to assist in his/her duties. (BAC) Unit of measure commonly used to determine amount of alcohol is in the Defendant's blood. Alcohol concentration is measured by grams of alcohol per 100 milliliters of blood, or by grams of alcohol per 210 liters of breath. A BAC of .05 or under is presumed to be not under the influence of alcohol. A BAC greater than .05, but under .07 there are no presumptions. A BAC greater than .07, but under .08 is presumed to be under the influence of alcohol. A BAC greater than .08 is presumed to be impaired. Citation A citation is commonly used for minor violations (i.e. traffic violations); avoiding having to take the suspect into immediate physical custody. The citation provides the Defendant with all pertinent information to the crime/violation he/she allegedly committed. Complainant The person who initiates charges by reporting a crime to the police. Discovery The pre-trial device used by one party to obtain facts and information about the case from the other party in preparation for trial. In the criminal case, the State is required by law to give the defense any evidence it has that may be of benefit to the defense. (DOC) The State Corrections Agency, which includes the House of Corrections in Jessup, The State Penitentiary in Baltimore City, the Patuxent Institution, and the Hagerstown Correctional Facility. DR-15 Advice of Rights In a DUI or DWI case, the Advice of Rights that concerns the possible suspension of the Defendant's driver's license/privilege. The police officer is required by law to inform the Defendant of the Rights included on the form before the Defendant decides whether to submit to a BAC test. The Defendant receives a pink copy of the form. Go here to see the DR-15. (DUI, 21-902(a)) The offense committed by one who operates a motor vehicle while under the influence of intoxicating liquor and/or drugs. If the Defendant has a blood-alcohol content of .08 or more, he/she is presumed to be Driving Under the Influence of Alcohol. A conviction for DUI is generally punishable by up to one year in jail, and/or a $1,000 fine. (DWI, 21-902(b)) The offense committed by one who operates a motor vehicle while impaired intoxicating liquor and/or drugs. If the Defendant has a blood-alcohol content of .07 or over, he/she is presumed to be Driving While Impaired. A conviction for DWI is generally punishable by up to 6 months in jail, and/or a $500 fine. DUI Monitor The monitor program is similar to probation. A Defendant who has been convicted of DUI or DWI may have to report to the monitor on a periodic basis. 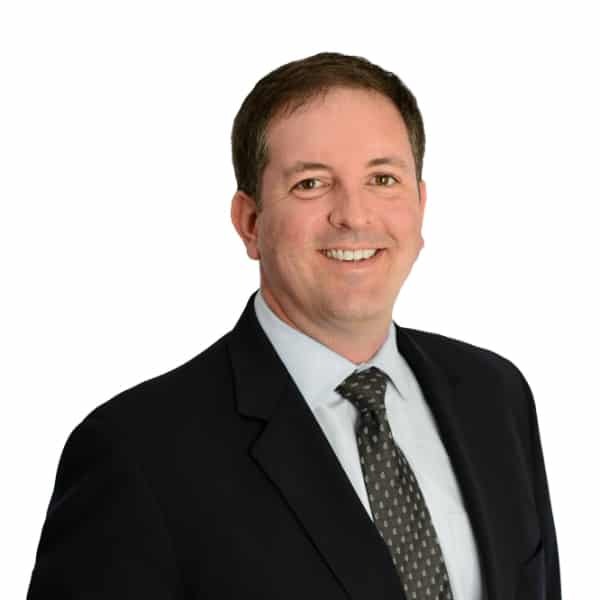 DUI Evaluator An Employee of the County/City who interviews DUI/DWI Defendants about their drinking habits and makes a report and recommendation to the Court regarding rehabilitation. (Ethanol) The scientifically-specific term for the alcohol found in drinks. Evidence Testimony, writings, material objects, or other things presented to the senses that are offered to prove the existence or nonexistence of a fact. Expungement When a Defendant, generally three years after his/her case is finished, files to have all references to a prior arrest taken off his/her record. Generally only available when the Defendant received a Nol Pros, Stet, Probation Before Judgment, or was found not guilty. (FTA) If the Defendant/witness fails to show up for Court, the judge may issue a warrant for his/her arrest. The police will arrest the Defendant/witness when they are able to locate him/her, and a new trial will be set. The Defendant/witness may remain incarcerated, or be released awaiting the trial date if he/she can make bail. (FST's) The commonly-referred to name of the group of tests given by police officers in DUI and DWI cases to determine the sobriety of the Defendant. The test commonly include the Horizontal Gaze Nystagmus (HGN) Test, the Walk-and-Turn Test, the One Leg Stand Test, the Alphabet Test, and the Touch-Your-Nose Test. Only the first three tests are recognized by the National Highway Traffic Safety Administration of the U.S. Department of Transportation. More information can be found here. Grand Jury A body of citizens, whose duties consist in determining whether probable cause exists that a crime has been committed and whether an indictment should be issued. The grand jury does not determine guilt or innocence. Guilty Plea The Defendant pleads guilty to the charges against him/her by stating that in fact he/she did commit the crime the State has charged. The Assistant State's Attorney will read the statement of charges into the record and the judge sentences the Defendant accordingly. No witnesses testify. Hicks Observers/Defendants in criminal trials may often hear the Judge or attorneys refer to Hicks being waived. They are referring to the name of a case in Maryland that became the rule for the right to a speedy trial. (HGN) One of of the Field Sobriety Tests given by police officers in DUI and DWI cases. The officer generally holds a pen or a light about 12-15 inches in front of the Defendant's nose, and moves it back-and-forth several times, looking for Nystagmus. According to research conducted by the NHTSA, when properly administered, the HGN test was 77% accurate in identifying subjects with BAC's .10 and over. For more information, go here. Indictment An accusation in writing found and presented by a grand jury, to the court, charging that hat the person named has done some act, or has been guilty of some omission, which is punishable by law. After a person is indicted, the State must prove beyond a reasonable doubt that the person named is guilty of the crime charged. Infrared Spectroscopy Infrared Spectroscopy Analysis is based upon the fact that different molecules absorb light energy at different frequencies. The absorption of ethyl alcohol happens in a specific range of infrared light. By shooting that specific range of infrared light through a breath sample, and measuring the absorption of that light by the breath sample, one can determine the amount of ethyl alcohol in the breath sample. For more information, go here. (Intoximeter, Breath Test Machine) The machine used in Maryland in the breathalyzer test, to determine the blood alcohol concentration of Defendants. The Intox EC/IR II (manufactured by Intoximeters, Inc. in St. Louis, MO)uses the principle of Infrared Spectroscopy to determine the BAC of the breath of the Defendant. For more information, go here. (Petit Jury) A certain number (12 in criminal trials, 6 in civil trials) of men and women chosen at random from the voter and/or driver's license lists from the county where the trial is held, and sworn to inquire of certain matters of fact, and declare the truth based on the evidence given to them. Miranda Rights Prior to any questioning initiated by law enforcement officers after a person is taken into custody, or otherwise deprived of his/her freedom in any significant way, the person must be warned: (1) That he/she has the right to remain silent; (2) That any statement he/she makes may be used as evidence against him/her; (3) That he/she has the right to the presence of an attorney; (4) That if he/she cannot afford an attorney, one will be appointed for him/her prior to any questioning if he/she so desires. MVA Hearing A hearing held by an independent judge from the Office of Administrative Hearings for DUI, DWI, and other offenses that involve the revocation and/or suspension of one's license. If you are found to have a BAC of .08 or higher, you must request a MVA Hearing within 10 days to ensure you receive a hearing prior to your license suspension. (Nol Pros) A Latin term commonly meaning that the State decides to not prosecute the defendant in a criminal case. No witnesses testify, but the Defendant's criminal record for a period of three years, after which time it can be expunged. (NGSF) When the Defendant pleads not guilty, the agreement is made between the Defendant and the State that they will go on a "statement of facts," which is the narrative of the police report being read, and both parties agreeing on the facts. Read more about it here. Nystagmus The involuntary jerking of the eyes, occurring as the eyes look toward the side. Nystagmus is a natural, normal phenomenon. Alcohol and other drugs do not cause this phenomenon, they merely exaggerate or magnify it. Maryland's highest court, however, has identified 38 other things which cause HGN other than alcohol. More information can be found here. (OLS) One of of the Field Sobriety Tests given by police officers in DWI and DUI cases. The officer generally tells the Defendant to stand on one foot, with his/her other foot held straight about six inches off the ground for a count of 30 seconds. According to research conducted by the NHTSA, when properly administered, the One-Leg Stand test was 65% accurate in identifying subjects with BAC's .08 and over. For more information, go here. (PBT) The hand-held Breath test used by many law enforcement officials in conjunction with DUI and DWI arrests. Due to its inaccuracy, however, the results of the PBT are not admissible by the State at trial in a DUI or DWI case, but the Defendant may introduce the test result in his/her defense. In Maryland, the PBT is not a required test. (PJT) For those cases where the punishment includes a possible jail period of one year, in the District Court, when the Defendant asks the Court to postpone the case, and have it set in before a jury in the Circuit Court. Probable Cause The level of evidence necessary to sustain an arrest or the issuance of an arrest and/or search warrant. Probable Cause exists where the facts and circumstances within a law enforcement officer's knowledge is sufficient that a person with reasonable caution would believe that an offense has been or is being committed. Mere suspicion is not enough for probable cause. (PBJ) Under § 6-220 of the Criminal Procedure Article of the Maryland Code, a verdict is not entered, but the Defendant must accept the terms imposed because probation before judgment cannot be appealed. If the Defendant violates any of the terms of probation, the Judge can bring the Defendant back, and re-sentence him/her. (State's Attorney) The general term for the State's Attorney, or an Assistant State's Attorney when they are involved in a criminal case on behalf of the State. Perjury The willful assertion of a statement by a witness in a judicial proceeding (i.e. trial), or under oath, as a part of his/her evidence, and the witness knows the statement to be false. Restitution Financial compensation for certain losses sustained by the victim. This might include the value of unrecovered stolen goods or repairs for damage(s) to property. Speedy Trial The right of the accused to a speedy trial is guaranteed by the Sixth amendment of the Constitution, and applies to the states by the Fourteenth Amendment. When speedy trial becomes an issue, the Court will look at four factors: (1) the length of the delay; (2) the State's justification for the delay; (3) whether and how the defendant asserted his/her right to a speedy trial; and (4) prejudice caused by the delay. (Prosecutor) The State's Attorney represents the State in every criminal trial. There is a State's Attorney for each county in Maryland, and for Baltimore City, who is elected by the voters of their county, respectively, and hold's his or her office for four years . 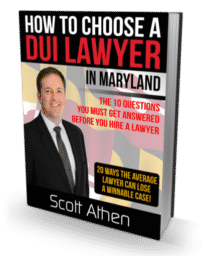 The State's Attorney must be licensed to practice law in the State of Maryland, and live in the county where he/she seeks to be elected for at least two years. Each State's Attorney also has several "Assistant State's Attorney's," who are not elected, but hired by the State's Attorney to Assist him/her in representing the interests of the State. (Stet) The Stet Docket is an inactive docket maintained by the State's Attorney's office. If a case is placed on the Stet Docket, the Defendant must waive his/her right to a speedy trial in the original case. The case remains on the Stet Docket for a period of one year, during that time, either the Defendant or the State (very unlikely) can ask the Court to place the case back on the active docket for trial. There may be conditions of placing the case on the Stet Docket, a common example of such a condition is no contact between the Defendant and the victim/complainant. Summons A document issued by the Court requiring a person to appeal at trial, usually to testify. Suspended Sentence Portion of a sentence that the Defendant is not actually required to serve in jail. Usually given with probation (e.g. 2 years incarceration, 18 months suspended and 24 months probation), which means that if the Defendant would spend six months in jail, and upon release would be on probation for 24 months and if he/she violated any of the terms of probation, he/she could be placed in jail for the remaining 18 months of the 'suspended' sentence. Time Served The Defendant is given credit for time he/she served in jail while waiting for trial. (WAT) One of of the Field Sobriety Tests given by police officers in DUI and DWI cases. The officer generally tells the Defendant to take 9 heel-to-toe steps down a line, to turn around, and take 9 heel-to-toe steps up the same line. According to research conducted by NHTSA, when properly administered, the Walk-and-Turn test was 68% accurate in identifying subjects with BAC's .08 and over. For more information, go here. Warrant After an officer of the law goes before an impartial judge, and shows probable cause that a crime is or was committed, the judge issues a warrant for the arrest of the individual, or for the search and seizure of evidence of the crime.